For all of you who are suffering through this terrible arctic chill like me, I’m bringing you a slightly brighter polish to cheer you up. For all of you who aren’t from the US or aren’t from the north, I’m really jealous of you right now. I think the Mayans got it wrong, the “Day After Tomorrow” really started in January, and I’m bracing myself the the hurricane looking eye of the storm that is going to bring even more cold air into my area (hopefully you guys have all seen that Oscar worthy movie too and get the reference!). I’m just stressing my gas bill as I crank my heat up to 85 degrees to counter act the 5 degrees outside, with a wind chill of -20. Enough complaining about the weather, onto the bright and cheery polish which was released as a holiday polish for Sinful Colors. 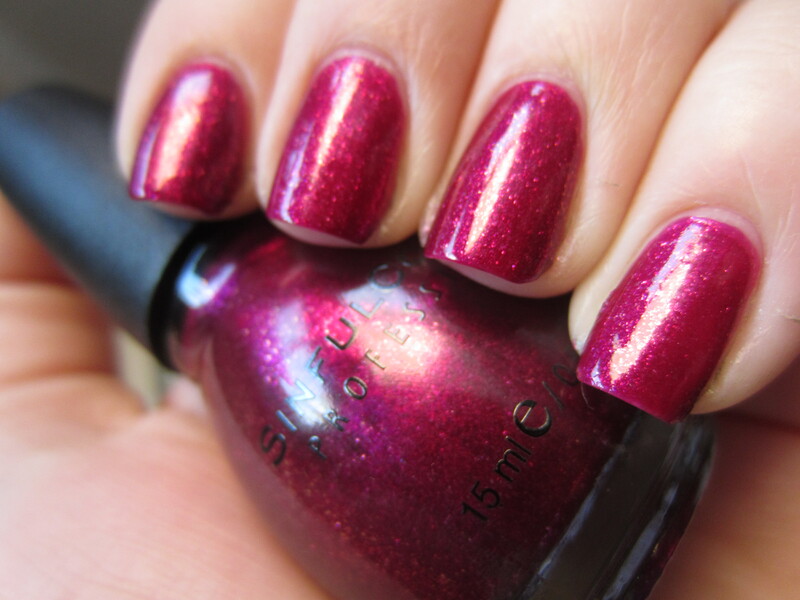 Sinful Colors “Dazzle” is a deep magenta glass fleck that is packed with bright pink shimmer. I picked this up last October when I was really into the jewel tones and deep, rich, saturated hues. 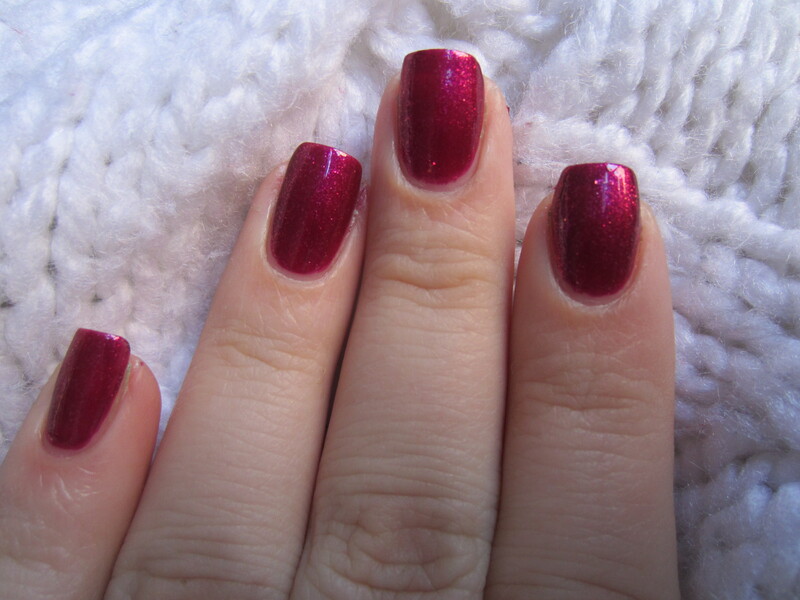 I still look at it and think I would love the color, but I think that it is another example of how you need to be in the right to mood to really enjoy certain polishes. The formula on this one was iffy too. The consistency was nice, it wasn’t too think or too thin, and it was pretty opaque. It only took 2 coats to reach full opacity. But what sucked was the dry time. It was a much slower dry time than I’m used to, so I was a little put off by that. Overall, I really want to try this polish again and see if I’ll be in the right mood to pull it off, maybe in the summer! What do you guys think? Do you guys have to be in the right mood for certain colors like me? Omg! 5 degrees?!? I’m complaining about the 53 here in Orlando tonight. Stay warm!! Pretty polish btw! This is really pretty! I do have to be in a certain mood as well for different colors. Ooohhhh really like this one !